Our Spring Pizza Party is on April 8th! 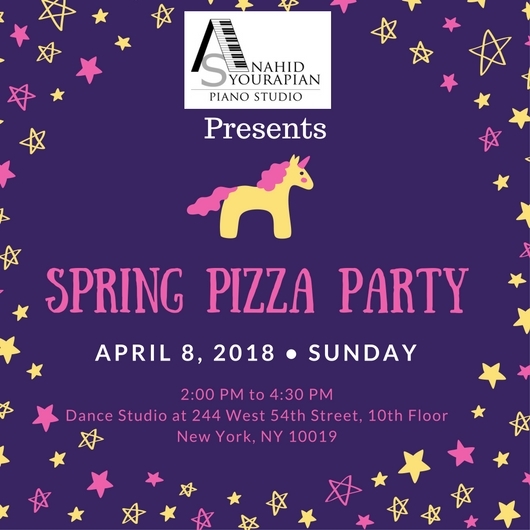 Our Spring Pizza Party is happening on April 8th at 2pm! Come have fun with us while we perform for you and enjoy yummy slices of pizza!